The 2017 Wrangler Rubicon Recon is the newest of the Supra-Rubicon models that started in 2013 with the 10th anniversary edition Rubicon model; followed by the Rubicon X and Rubicon Hard Rock. The Rubicon Recon takes the, mostly bolt on, features of the Hard Rock one step further with the addition of an exclusive front axle upgrade that features strengthened tubes and heavy-duty end forgings, as well as heavy-duty cast front and rear differential covers. 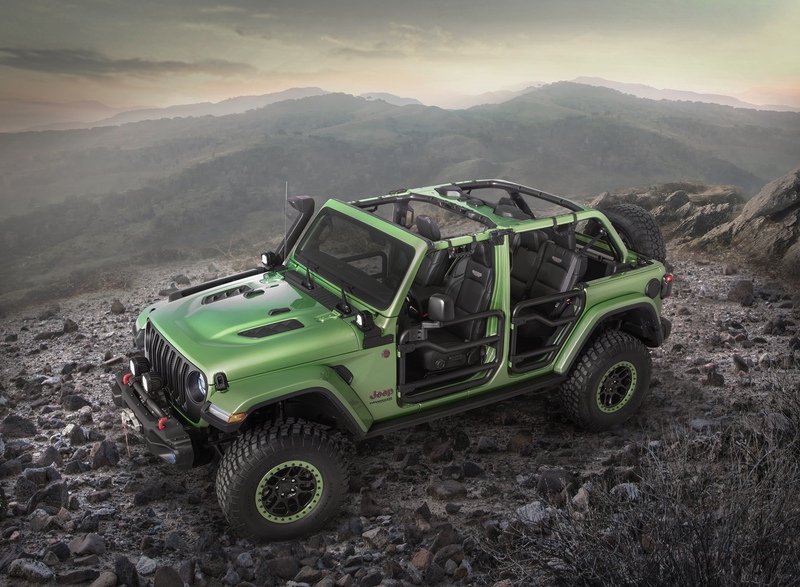 The Recon also adds enhanced off-road rock rails that are shortened to accommodate up to 35-inch tires, a half-inch lift, new 17-inch Low Gloss Granite Crystal-painted aluminum wheels wrapped in 32-inch BF Goodrich KM off-road tires, optional body-color fender flares and a dual-vented Power Dome hood with a black-silhouette “Rubicon” decal on both sides. The interior includes rec seat belts, red accent stitching and Rubicon embroidered seats. The Rubicon Recon will be available in Black, Bright White, Billet Silver, Firecracker Red, Gobi, Rhino and Granite Crystal.